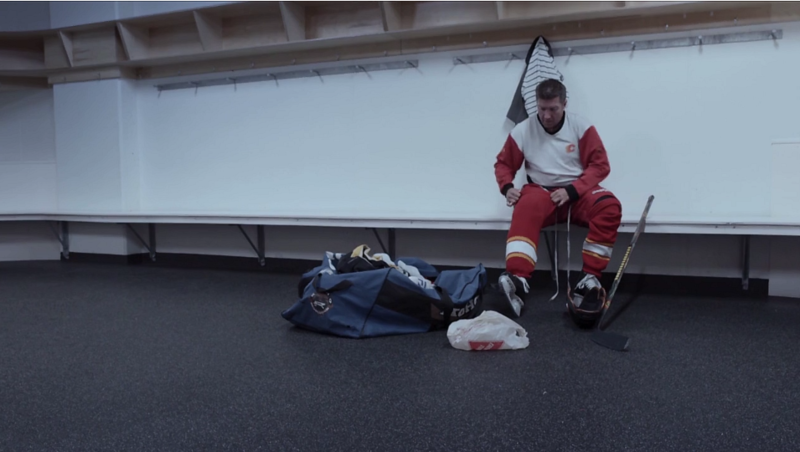 From 3-time Academy Award winner Mark Jonathan Harris, Executive Producer James Gray, and Lost for Life director Joshua Rofé comes a documentary film about Sheldon Kennedy, former NHL hockey player & survivor of sexual abuse - providing a startling & never before seen look at recovery from childhood sexual abuse trauma. "Impossible is not a fact, it is an opinion usually held by those who have never tested themselves in the face of adversity. This is Sheldon Kennedy." "This documentary film is a bright light on a societal problem that has been kept in the quiet room for far too long. Josh Rofe’s film captures the fear, pain and confusion that Sheldon Kennedy and other sexual abuse victims face, not only at the time of the abuse, but for many years into their adulthood. It also teaches us all that there is hope on the other side of all the pain and that education is the key to prevention…and prevention is the key to stopping the cycle of abuse." "Sheldon’s story has changed Canada for the better forever. His raw bravery in coming out, turning his life around slowly, painfully sharing how much effort it takes to overcome the scars of abuse is inspiring. He embodies the fragility of life and the triumph of the human spirit. We need to keep this difficult conversation alive to protect our children. We need to continue to equip ourselves to protect against this life devastating threat. Swift Current describes a journey that all Canadians should understand." "A gritty, gripping, triumphant story of overcoming sexual abuse by sheer force of will. Sheldon Kennedy and Swift Current will stir you so and inspire you to action." "This film helps us connect the dots between the impact of child abuse, trauma and the potentially life long issues of mental health and addiction. Sheldon continues to be a catalyst for social change by creating a deeper understanding of child abuse and the actions needed to address this important issue."